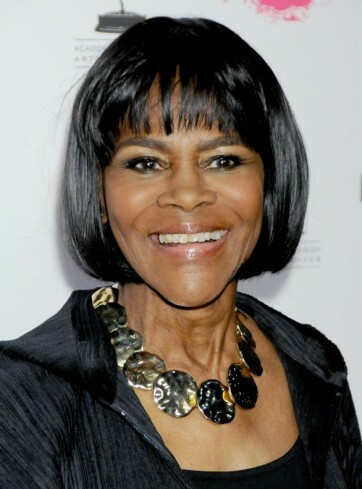 Cicely Tyson is one class act. The actress has brought dignity and strength to many of the characters she's portrayed over the years not limited to the 1977 TV miniseries Roots and the 1972 powerful film, Sounder. Two more TV movies, 1974's The Autobiography of Miss Jane Pittman and 1977's Wilma, both had a very powerful effect on me when I watched them when they first aired. 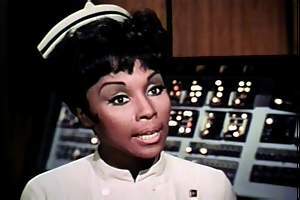 Tyson has helped to influence the roles of African-American women in film and television away from predominantly stereotypical background characters to influential history-makers and strong women at the story's center. This is also true for Tyson's role as the central character in the 1997 made-for-TV movie, Ms. Scrooge. Here, Ebenita Scrooge is a successful banker who loves Christmas because people always over-spend and over-borrow money and she makes a profit from this. In a re-telling of Charles Dickens' classic tale, Scrooge is visited by her former boss Maude Marley (played by Katherine Helmond) who warns her about her greed. The Ghost of Christmas Past shows Ebenita visions of her father’s struggle to run his own grocery store, her brother’s death in the war and her choice of a career over love. The Ghost of Christmas Present shows her employee Bob Cratchit’s family and his need for a decent health care plan. The Ghost of Christmas Future shows her that no one benefits after her death when the government claims her estate and her wealth. This Scrooge story ends a little differently than most because Ebenita goes to church after her Christmas Eve transformation. Perhaps this is a lesson others will prefer over other TV adaptations of the original tale. (Trivia: which other filmed version(s) see Scrooge visit a church?) TV fans may notice that this film is directed by John Korty, the same who directed Tyson in the earlier successful movie The Autobiography of Miss Jane Pittman. TV movie The Autobiography of Miss Jane Pittman--remember the water fountain scene? Ms. Scrooge still regularly airs on TV each December (I usually see it on Lifetime) but it is currently available for viewing on Youtube as well (see below for Part 1). 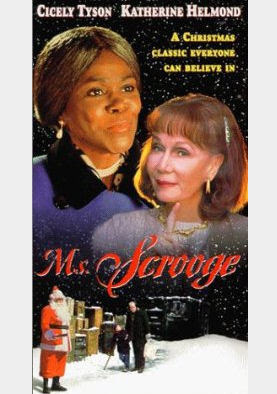 The TV movie Ms. Scrooge is but one of several examples of female Ebenezer Scrooges. Other examples include 1995's Ebbie starring Susan Lucci, 2000's A Diva’s Christmas Carol starring Vanessa Williams and 2003's A Carol Christmas starring Tori Spelling. Note that Vanessa Williams in A Diva's Christmas Carol is also an African-American woman playing the lead role as Dickens' Scrooge character. Interesting, huh? 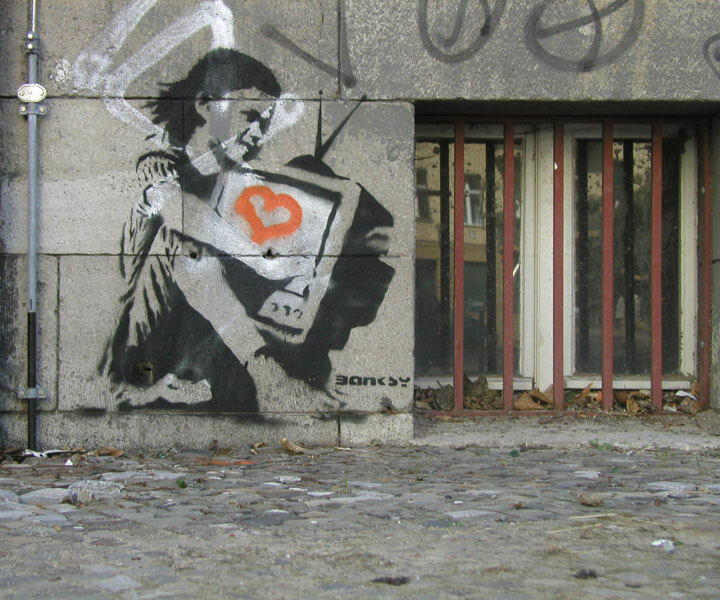 Valentine's Day is the time of year that our thoughts turn once again to love, romance and relationships. However, romance is a very common theme in Christmas stories as well. In fact, Christmas movies so frequently use The Hook-Up as a storyline if it isn't the the primary plot, Romance will most certainly will be the B or C story. I'm speaking of the popular Christmas TV movies that we all watch on the Hallmark Channel, Lifetime, and ABC Family. But the tradition of romantic Christmas movies isn't new. 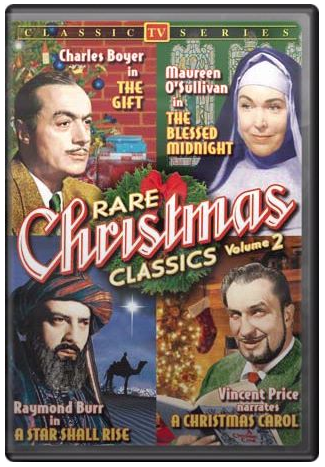 The classic Hollywood studios also produced romantic Christmas movies many of which we still watch on Turner Classic Movies or on DVD. 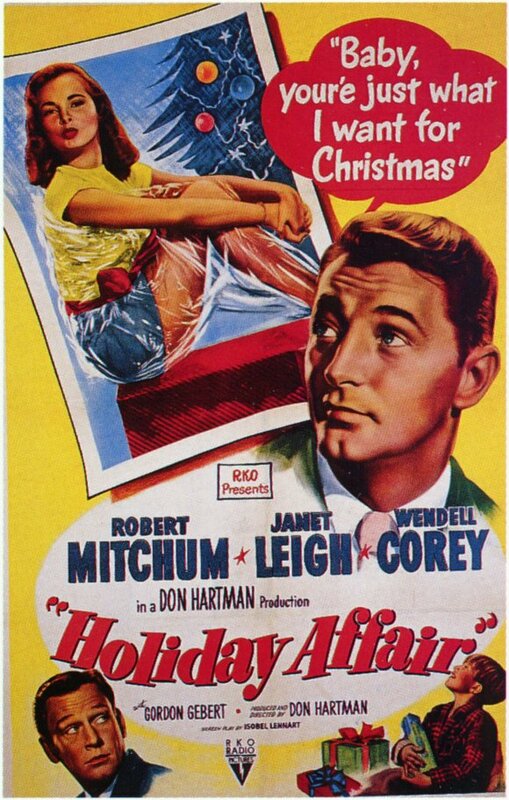 This romance story stars the hunk Robert Mitchum as Steve Mason and actress Janet Leigh as Connie. Connie works as a comparison shopper who gets Steve, a toy store employee, fired from his job at Christmas time. Her young son Timmy keeps urging his mother to befriend Steve and she indulges him because of her guilt. This film was re-made for television in 1996 starring David James Elliott and Cynthia Gibb however it lacks the charisma of the original film's casting. This romantic comedy is one of my all-time favorite Christmas movies. I absolutely adore Barbara Stanwyck. Stanwyck plays Elizabeth Lane, a magazine writer about domestic skills (think 1940s Martha Stewart) who is asked to entertain a war hero over the Christmas holiday. Unfortunately, Elizabeth is a woman of words--not an actual domestic goddess--and she has to cover up her lack of cooking and hostessing skills while trying to impress the good-looking war hero. This movie too was re-made for television, starring Dyan Cannon in the Stanwyck role in 1992. Another romantic comedy, this sassy story features a wise-cracking Ginger Rogers and actor David Niven. Rogers plays Polly Parrish a department store clerk, who is mistaken for the mother of an orphaned baby. After a series of misunderstandings and assumptions, she is forced into keeping the baby and claiming it as her own. 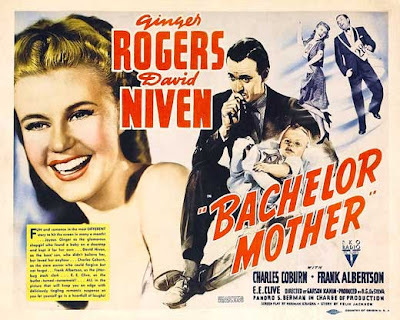 When she catches the eye of the young wealthy owner of the store, played by David Niven, she has a hard time keeping her secret about being a single woman with a baby! Turner Classic Movies also broadcasts the 1956 musical remake of this film entitled Bundle of Joy which stars Debbie Reynold and Eddie Fisher. However, I still prefer the original. 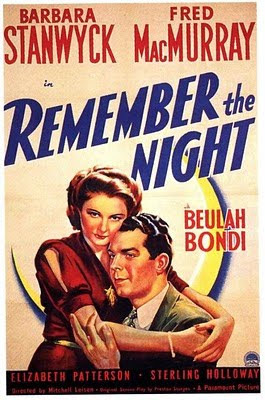 Another Barbara Stanwyck vehicle, this film also stars Fred MacMurray. 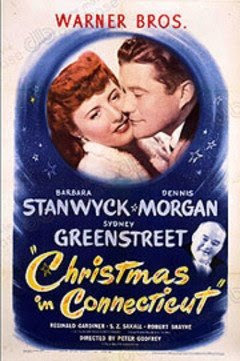 He plays a district attorney with a soft heart who releases a female accused convict (Stanwyck) from jail over the Christmas holiday. He doesn't realize she has nowhere to stay during the holiday. When he finds out she will be homeless, he feels an obligation to look after her until her court date after Christmas. So the tough-talking Bad Girl finds herself accompanying the lawyer to his family home in the Midwest to spend Christmas with a traditional, loving family. This film's story is sweet and tender in all the right places. This film is based on the successful Broadway play written by George S. Kaufman and Moss Hart. Click here to see what I've blogged about it before. The romance in this chaotic comedy is between characters played by Bette Davis and Richard Travis. This film is a rare comedic role for Davis, and she really shines. 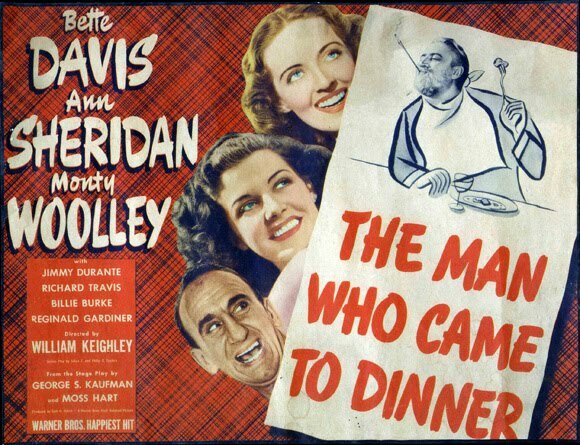 The Man Who Came to Dinner has been re-made for television several times most recently for PBS in 2000. 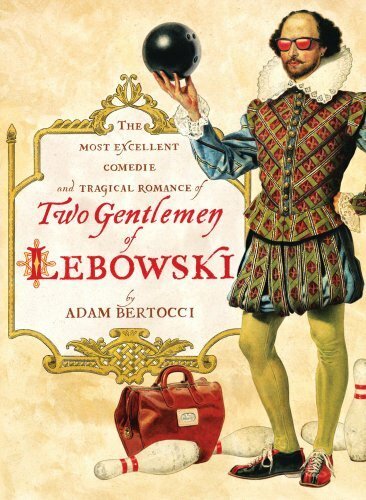 I recently finished reading another pop culture book, Two Gentlemen of Lebowski written by Adam Bertocci. If you haven't already heard the buzz about this project, it is the answer to the question: what if William Shakespeare wrote The Big Lebowski? Just the idea of this mash-up is enough to make it worthwhile. But it's a fun read as well. 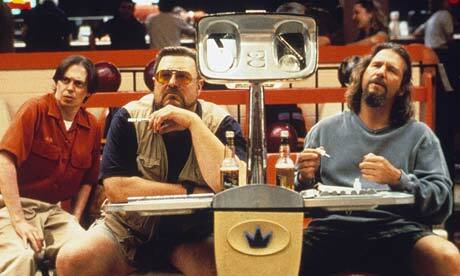 If you read my first book, The Christmas TV Companion, you'll know I'm a big fan of the 1998 movie The Big Lebowski. I used its cast to create an example Make Your Own Marathon for other Achievers for Christmas viewing. Click here to see what I blogged about it before. However, reading the book Two Gentlemen of Lebowski reminds me--since I write about Christmas-- that several Christmas TV programs have referenced Shakespeare's words about the winter holiday. In at least two of The Bard's plays he recalls Christmas, including Hamlet and As You Like It. Perhaps a scholar would know if there are more references than just those two. 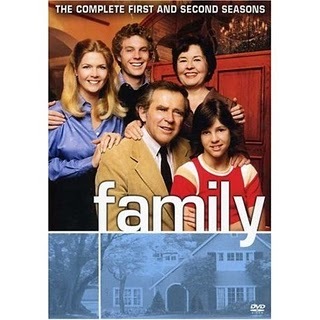 Opening of Family--remember this show? This episode can be watched on the first and second season DVD release, disc 4. It's a small moment but an emotional turning point for the character Buddy, played by a teenaged Kristy McNichol. This is just one of the reasons I have found a passion for Christmas on TV. 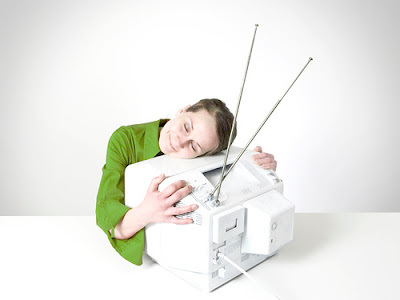 The low brow medium of television can frequently surprise even the most jaded of us when it lifts itself up to nod at our cultural heights. In the post-holiday season, I've been catching up on my reading. If you follow my blog closely you know I have been reading my new Morrissey encyclopedia (click here to see that post). 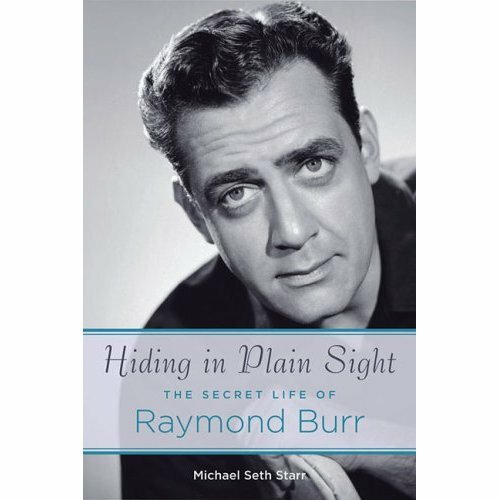 I've also recently completed this 2009 biography of actor Raymond Burr entitled "Hiding in Plain Sight" by Michael Seth Starr. Anyway, my passion for Ironside and Raymond Burr is obnoxious enough to have made it into a newspaper interview I did last fall when I was promoting my book tour. (click here to see that interview). Unfortunately, neither of Raymond Burr's long-running TV series Perry Mason nor Ironside has a Christmas-themed episode. However, Burr does star in an episode of the dramatic anthology series, Family Theater. The 1952 episode entitled "A Star Shall Rise" is a dramatization of the story of the Three Magi following the bright star in the sky, looking for the prophesied newborn King. Told from their perspective, the three travelers find themselves in Jerusalem asking for any news and contacting King Herod for what he may know about the baby. They follow the star to Bethlehem, meet the humble mother and offer their gifts to the baby. Raymond Burr plays Balthazar. In addition to Burr, the guest stars include Anthony Caruso, Richard Hale and Jay Novello. Part 1 of "A Star Shall Rise"
This episode is also available for viewing on the above mentioned DVD release Rare Christmas Classics, Volume 2. Of course, this Christmas TV episode and many others are covered in my encyclopedia of Christmas television programs and movies, Tis the Season TV. I've borrowed the above image because it reminds me that Black History Month is a celebration of contributions to American history and culture made by African-Americans. This is a topic I'd like to return to several times this month to highlight several of the best Christmas programs which feature African-American characters and their holiday stories in movies and on TV. 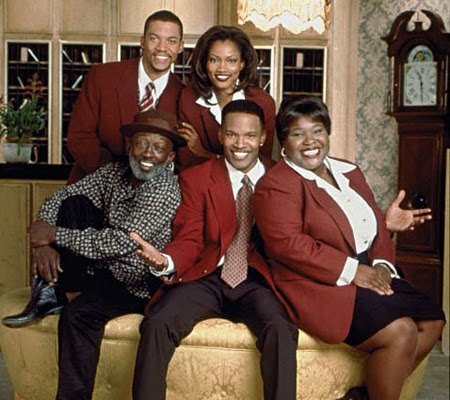 I'd like to open Black History Month tipping my hat to the 1988 Christmas movie Roots: The Gift, directed by Kevin Hooks. 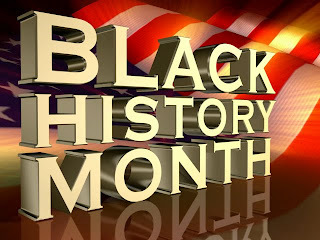 This television movie is an expansion of a storyline from within the original Roots TV mini-series involving the characters Fiddler and Kunta Kinte. 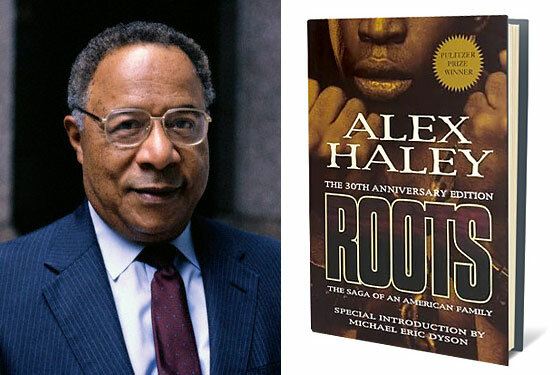 Of course, Roots is the 1970s mini-series adapted from author Alex Haley's award-winning book which narrates his ancestors lives from their kidnapping in Africa into slavery up through the years into the 20th century. There are many inspiring moments: Kunta refusing to be humiliated, bridled and ridden as a camel in a childrens' Nativity pageant; Fiddler deciding to join the group of escapees; the arduous trek through the snow towards freedom; and, the hope of a new baby born along the way. The cast includes: Louis Gossett Jr. as Fiddler; LeVar Burton as Kunta Kinte; Avery Brooks as Cletus Moyer; Michael Learned as Amelia; Shaun Cassidy as Edmund Jr.; Kate Mulgrew as Hattie; and, Jerry Hardin as Dr. Reynolds. Roots: The Gift was directed by veteran TV director and former actor, Kevin Hooks. 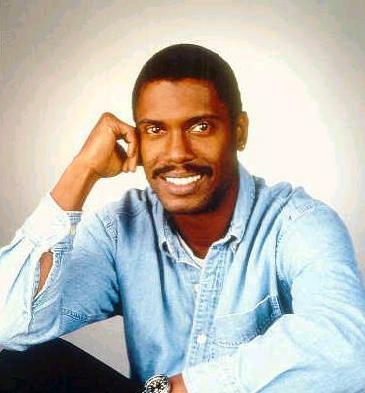 My favorite TV role of his was as the character Morris Thorpe on The White Shadow. As a child he also starred in the Christmas TV movie, J.T. Click here to read my previous posting about that phenomenal movie. Hooks is currently working as one of the most busy TV executive producers and directors on such shows as Detroit 1-8-7, Human Target, and until recently Prison Break. 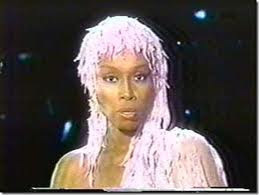 To the best of my knowledge, Roots: the Gift is not available on DVD yet. However it does still pop up on TV. 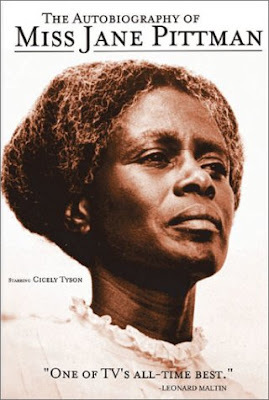 Because of the prestigious reputation of the Roots mini-series, this TV movie is also fairly easy to find on VHS at libraries across the country as well. A find worth seeking.